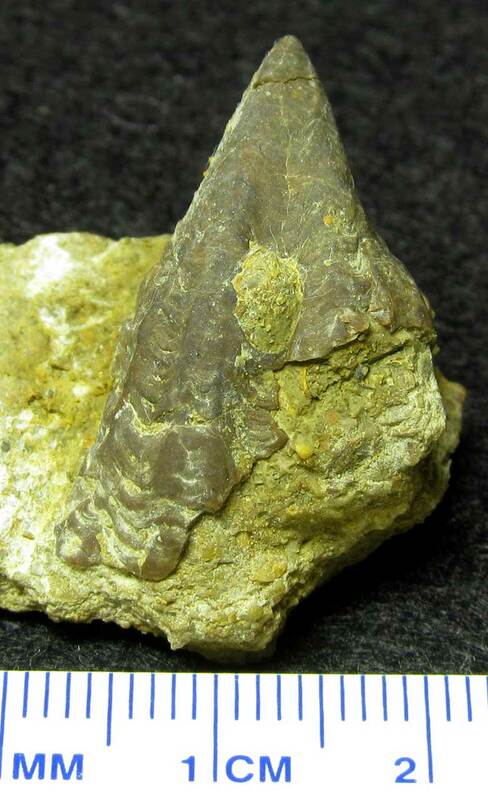 This image is of a Ptychodus decurrens (Agassiz) shark tooth fossil from the Cretaceous Period. Found in the Chalk of Kent England. Displayed at the British Natural History Museum London as of August 2016. 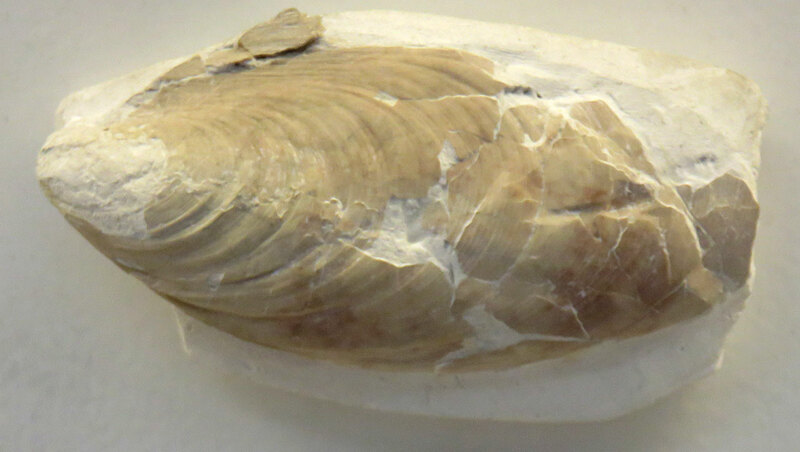 This image is of a Terebrirostra lyra (J. Sowerby) brachiopod fossil from the Late Cretaceous Period (Lower Cenomanian). Found in the Warminster Beds Horningsham Wilts. England. Displayed at the British Natural History Museum London as of August 2016. 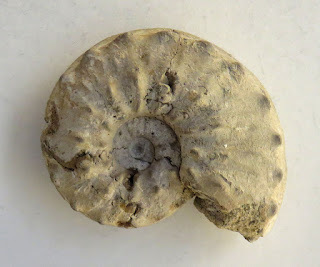 This image is of a Schloenbachia varians (J. Sowerby) ammonite fossil from the Late Cretaceous Period (Lower Cenomanian). 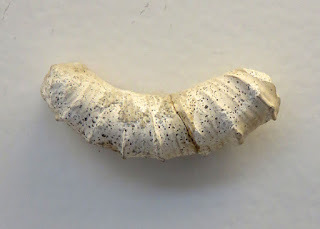 Found in the Chalk Marl Varians Zone Evershot Dorset England. Displayed at the British Natural History Museum London as of August 2016. 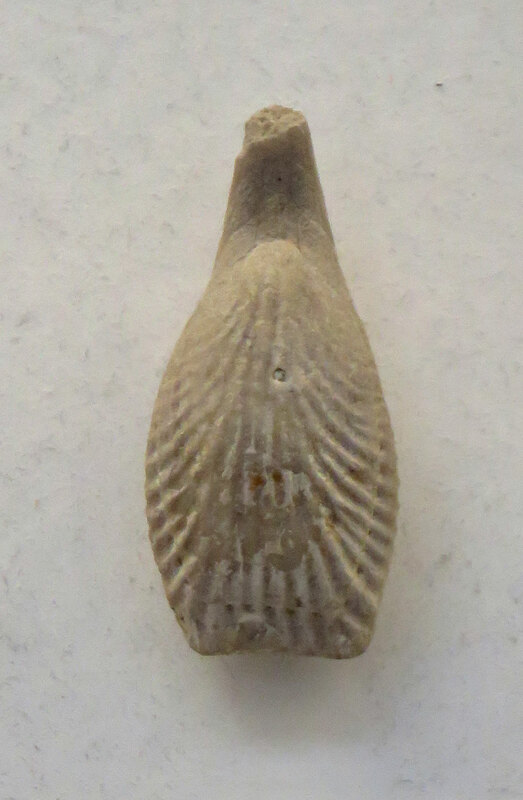 This image is of an Inoceramus labiatus (Schlotheim) pelecypod fossil from the Late Cretaceous Period (Turonian). 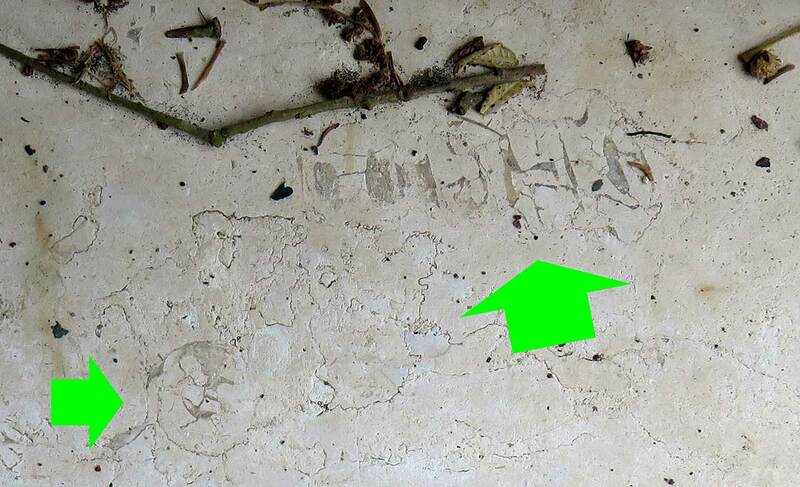 Found in the Upper Chalk Oldbury near Heytesbury Wilts England. Displayed at the British Natural History Museum London as of August 2016. The image is of an Enoploclytia leachi (Mantell, 1822) lobster fossil from the Late Cretaceous Period (Turonian). 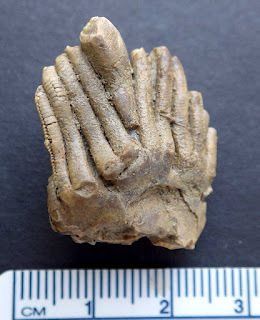 Found in the Upper Chalk Burham Kent England. On display at the British Natural History Museum London as of August 2016. 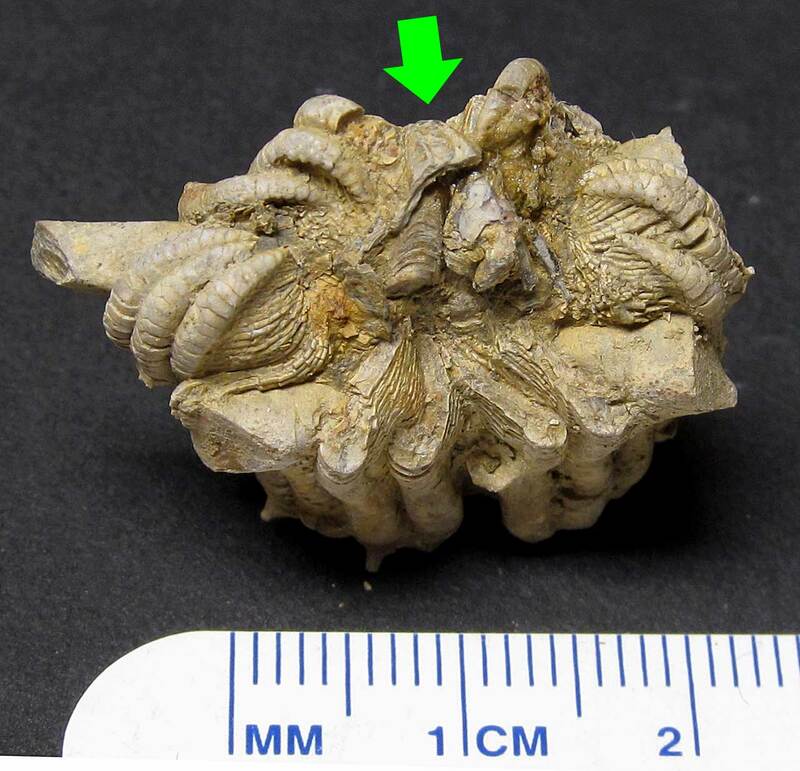 Platycerid gastropod fossil found in Grayson County, Kentucky USA. It was in the Glen Dean Member. This snail roamed the ocean in the Mississippian Period. Thanks to Kenny for the images. The image is of a Hyphantoceras reussianum (d'Orbigny) ammonite fossil from the Cretaceous Period (Turonian). 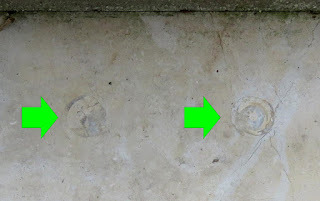 Found in the Planus zone Chalk Marl Aston Rowant of England. 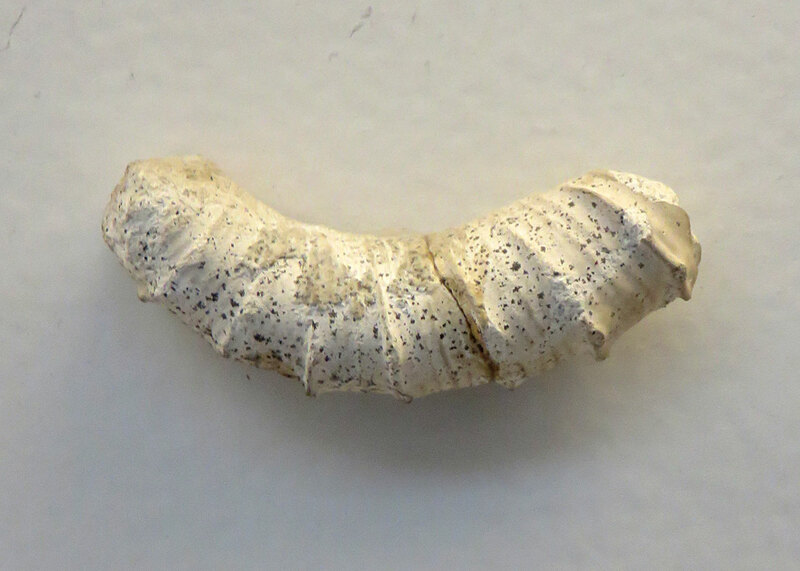 On display at the British Natural History Museum London as of August 2016. 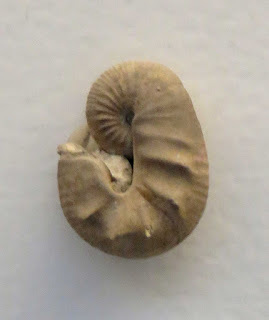 The image is of a Scaphites equalis (J. de C. Sowerby, 1813) ammonite fossil from the Late Cretaceous Period (Cenomanian). 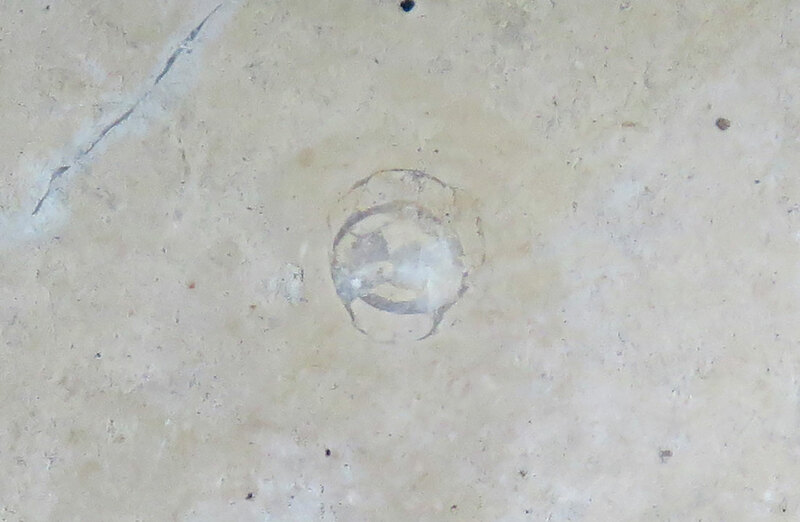 Found in the Chalk Group Lower Chalk Formation of England. On display at the British Natural History Museum London as of August 2016. 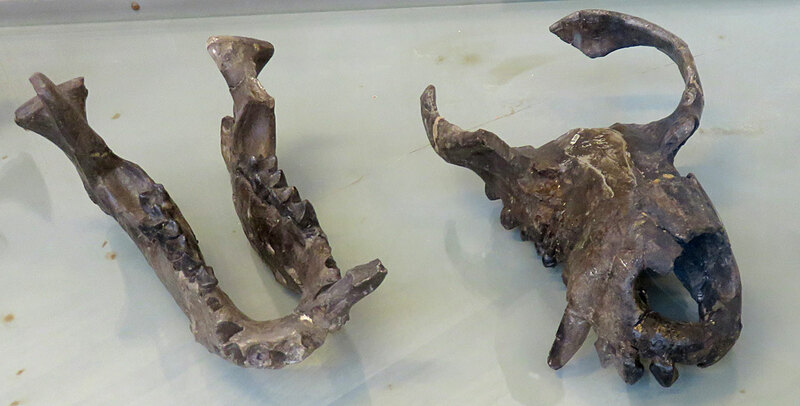 This fossil is part of a skull of an extinct pantodont known as Coryphodon oweni. Fossil was named by Herbert in 1856. 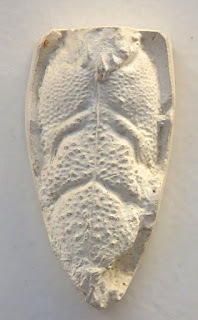 It was found in the Meudon of Sparnacian of France. This creature existed in the Paleocene and Lower Eocene Epochs of the Paleogene Period.. It was on display in August of 2016 at the Muséum National D'Historie Paris. 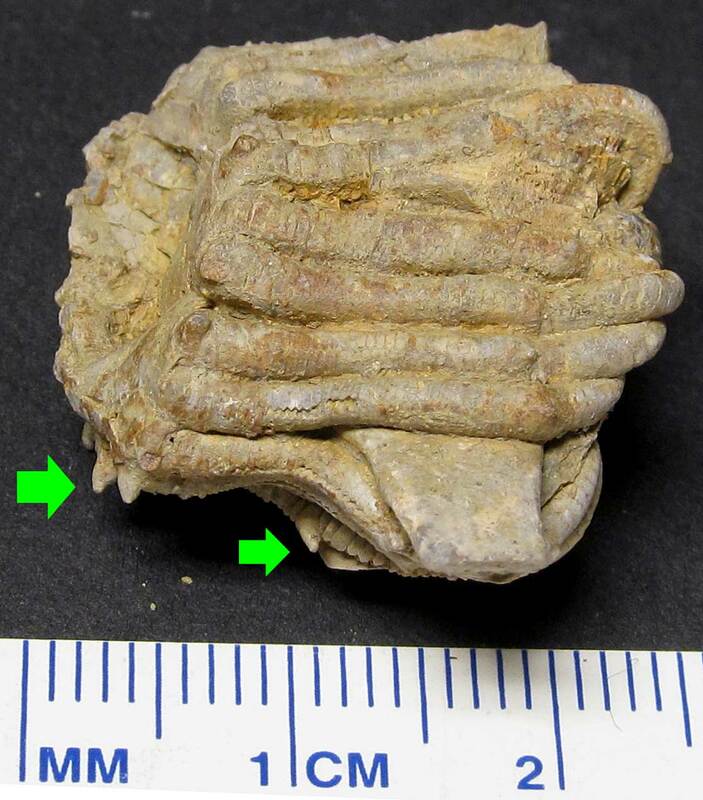 This crinoid calyx appears to be a Pterocrinus acutus. 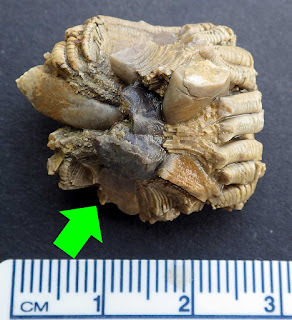 It has a snail fossil fossilized with it. 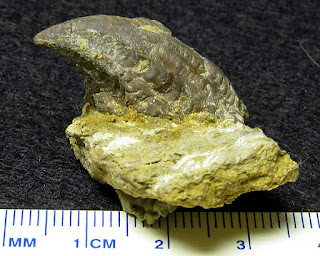 The animals existed in the Mississippian Period and were found in the Glen Dean member of Grayson County Kentucky USA. Thanks to Kenny for images. This image is of an Alveolites winchellana (Miller) coral fossil. It was found in the Jeffersonville Limestone of Clark County Indiana USA. The fossil dates to the Devonian Period. 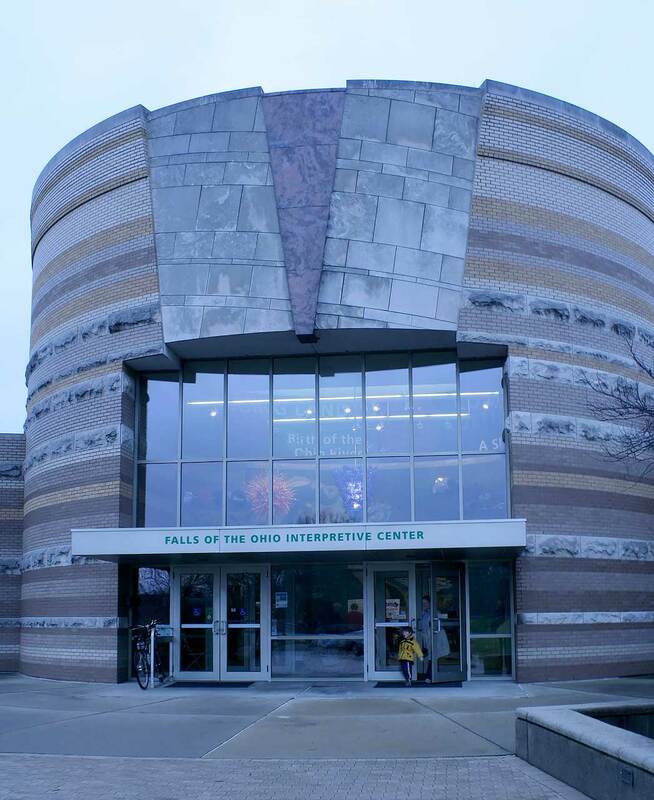 This fossil was on display at the Falls of the Ohio State Park Interpretive Center as of January 2016. 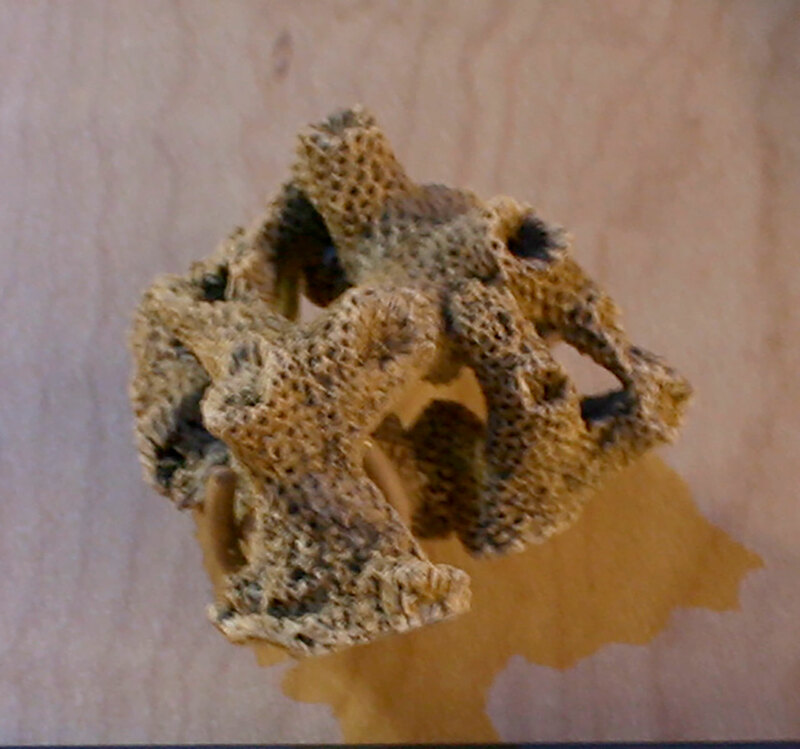 This coral is one of over 200 species that were known to live in this area over 300 million years ago. 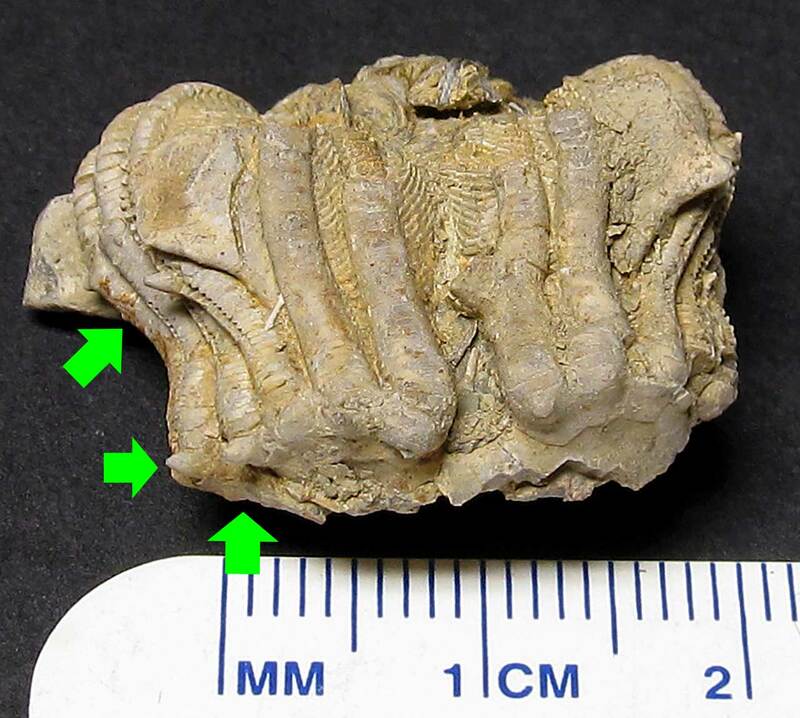 This calyx was found while sifting through matrix while looking for dis-articulated crinoid arms for another fossil. 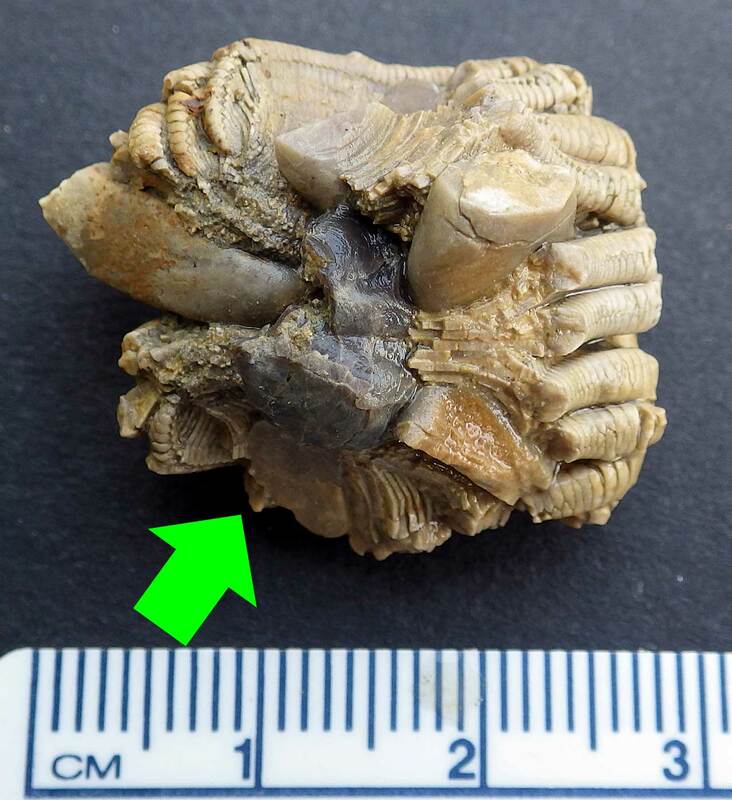 It is quite a find measuring a little over 3 cm in width and it has part of gastropod fossil (see arrow) located near the top of its folded up arms. 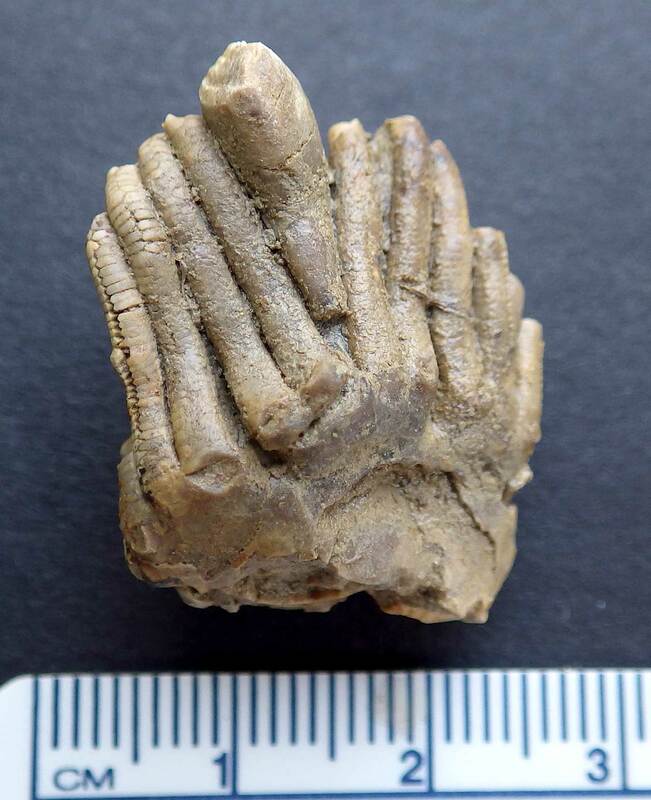 This crinoid appears to be a Pterocrinus acutus. The creature existed in the Mississippian Period and was found in the Glen Dean member of Grayson County Kentucky USA. This next image has 3 arrows highlighting the spines on the arms. Side view of spines below. 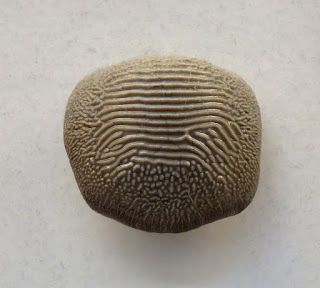 This image shows a Syringopora hisingeri (Billings) coral fossil. 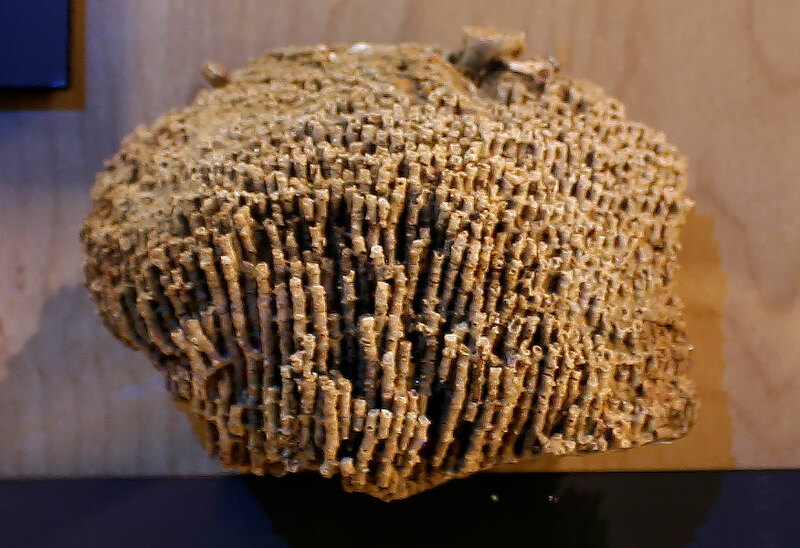 They are found in the Jeffersonville Limestone of Clark County Indiana USA. 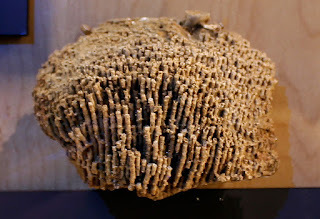 The coral existed in the Devonian Period. 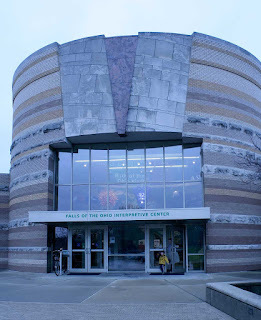 It was on display at the Falls of the Ohio State Park Interpretive Center as of January 2016. On my last visit to France, I visited the Normandy American Cemetery and Memorial. At the horseshoe shaped memorial, I found the remains of marine fossils in the limestone plates on the west face of the north loggia and the steps there. One plates with the carved text, I found what looks like the cross sections of crinoids. Reading a 2002 document about the cemetery from The American Battle Monuments Commission, "The loggias and colonnade are of Vaurion, a French limestone from the Cote d'Or region; the plinths and steps are of Ploumanach granite from Brittany." The limestone might date to the Jurassic Period (https://en.wikipedia.org/wiki/C%C3%B4te_d%27Or_(escarpment). 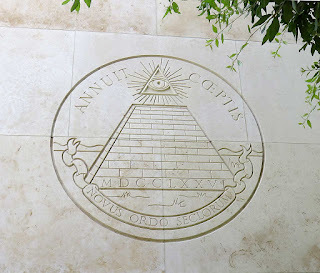 I found a reference in a historic building stone book that Vaurion limestone might also be called Marssangis (http://www.geostonesrl.com/english/stones/other/massangis-clair-nuance/). 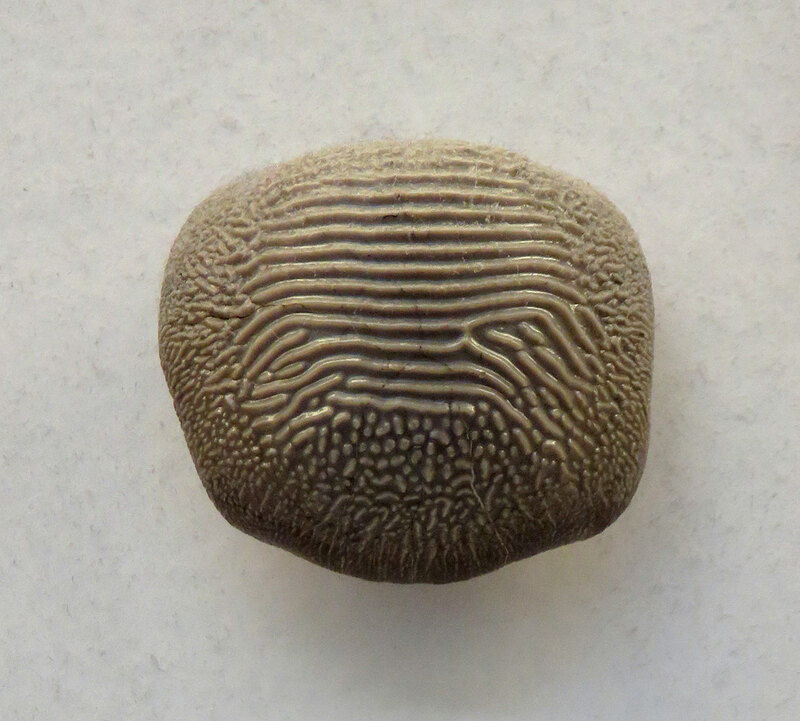 This stone dates to the Jurassic.